On March 7th of 2015, The GAR! 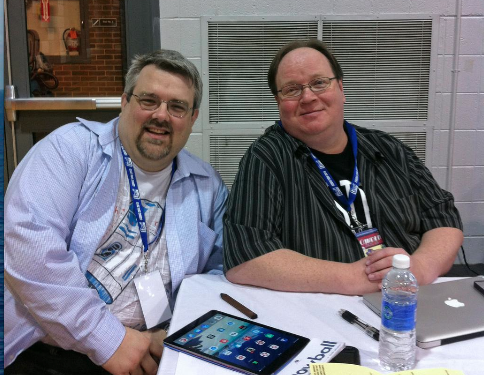 Podcast recorded episodes live at the Camden Comic Con for its second year in a row. This local comic convention has grown in a very short time to one of the events in the South Jersey/Philadelphia area, and is personally the best such event I've ever attended, and that includes shows in Philadelphia, Baltimore, and New York. The Camden Comic Con rocks. 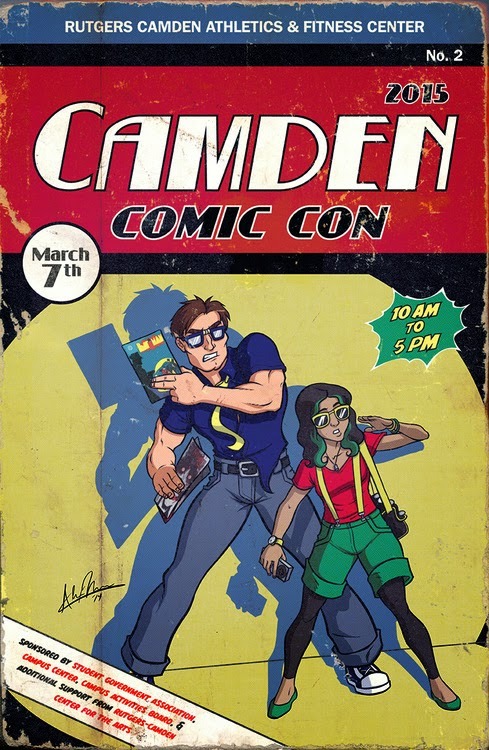 I'm presenting here a compendium of coverage of the Camden Comic Con from both The GAR! Podcast and Biff Bam Pop!, hopefully you'll be able to find what you're looking for. The first episode featured interviews with Marie Gilbert and Sarah Hawkins-Miduski of both Biff Bam Pop! and the South Jersey Writers' Group. Sarah also wrote a terrific review of the Con here. Our guest for the con, and my old partner on The All Things Fun! 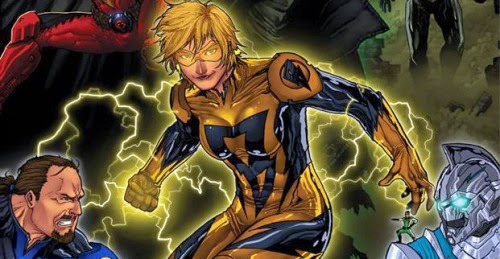 New Comics Vidcast, Allison Eckel, and I also talked about the phenomenon of Batgirl-ing, "Teen Titans Go," and the new TV costume for Supergirl. You can check it out at GAR! here and BBP here. The second episode featured a very special interview with comic creator and writer Bryan J.L. Glass, who talked about the end and origins of Mice Templar; the craft and passion of writing; the creative philosophies of Robert McKee, Joseph Campbell, and Christopher Nolan; worldbuilding; finding the right ending; and yes, even Electra Woman and Dyna Girl. Bryan is a friend, and he rocks. You can check it out at GAR! here and BBP here. The third episode recorded live at the Camden Comic Con featured an interview with Justin Piatt of Unlikely Heroes Studios about Super!, along with some discussion with guests Allison, her son Thomas, and our official intern Frank Kamina Castle about comics and videogames. You can check it out at GAR! here and BBP here. 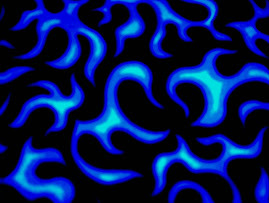 The fourth and final episode recorded at the con, and released just yesterday, featured interviews with Mark Poulton, Matthew Catron of Locust Moon Comics, and some cool bathing in the afterglow of the con with organizer Miranda Powell and friend of the show and writer/editor for Pronto Comics, Dennis Knight. Please check out Mark Poulton's Kickstarter. Our guests also talk about what they loved most about the con. You can check it out at GAR! here and BBP here. And for coverage of the 2014 Camden Comic Con, you can see it here, here, and here. Good times. Arrow S03 E20: "The Fallen"
Arrow S03 E19: "Broken Arrow"
Arrow S03 E18: "Public Enemy"
Arrow S03 E17: "Suicidal Tendencies"